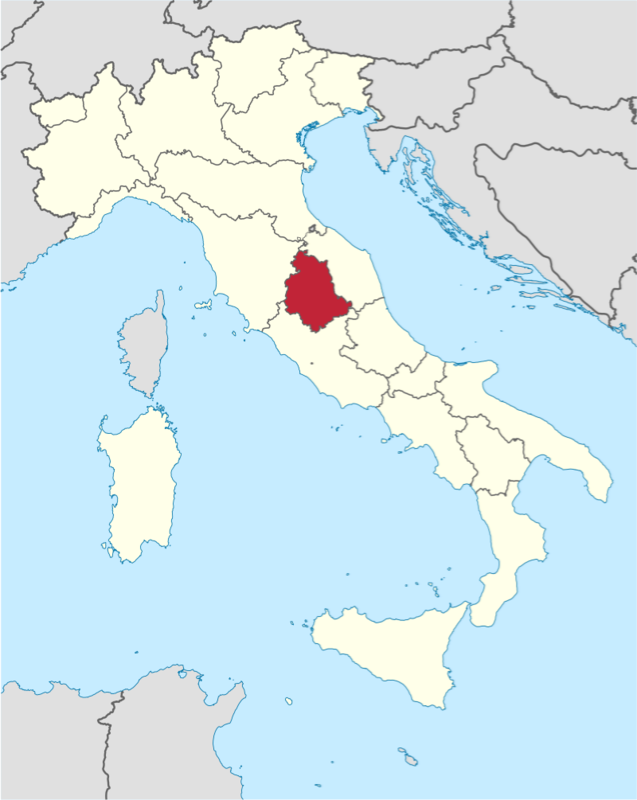 Umbria is a region of central Italy. It is the only Italian region having neither a coastline nor a border with other countries. It is named for the Umbri people, an Italic people which was absorbed by the expansion of the Romans. Their capital city was Gubbio. After the Ostrogoths, the Lombards founded the duchy of Spoleto, covering much of today's southern Umbria, but the Byzantine were able to keep in the region a corridor along the Via Flaminia linking Rome with the Exarchate of Ravenna and the Pentapolis.The Lombard king controlled also the northern part of the region ruled directly by Pavia. When Charlemagne conquered most of the Lombard kingdoms, some Umbrian territories were given to the Pope, who established temporal power over them. Some cities acquired a form of autonomy named comune. These cities were frequently at war with each other, often in a context of more general conflicts, either between the Papacy and the Holy Roman Empire or between the Guelphs and the Ghibellines.